Fondazione Cominelli Award 2012 "Fist Prize"
a information about the Cominelli Awards. 장신구 작가 권슬기가 이탈리아 폰다지오네 코미넬리에서 열린 Cominelli Foundation 2012 공모전에서 First Prize 상을 받았다. 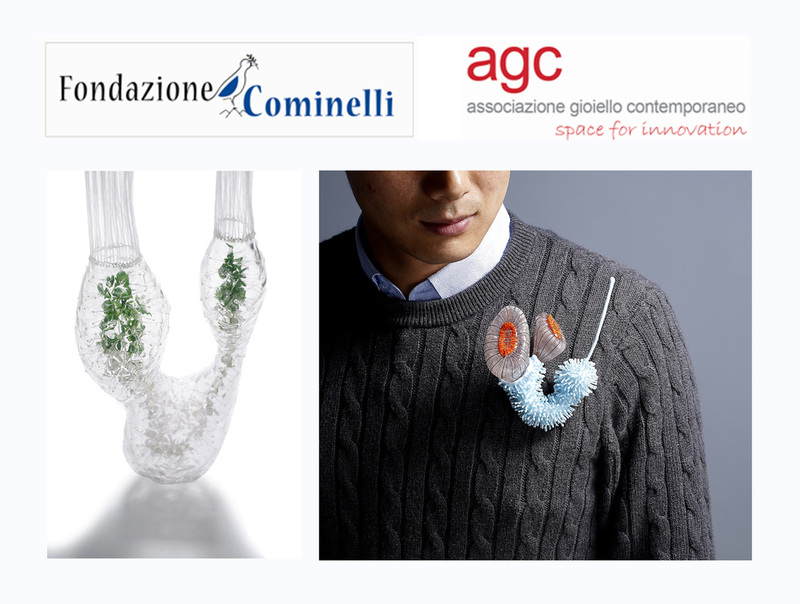 Fondazione Cominelli의 주최 AGC( associazione gioiello contemporaneo / 현대 장신구 협회) 는 2004 년 6 월 설립되어 이미 국가 지역에서 다른 여러 예술 프로젝트를 추진하였으며, 현대적인 장신구 문화의 가치에 주목하고 그것을 확산하는 것에 의의를 둔다. Fondazione Cominelli Award는 이러한 AGC의 한 측면이자 이벤트를 홍보, 조직화를 위한 일환으로 매년 1회 개최되며, 2010년을 시작으로 올해로 3번째 공모전을 개최하게 되었다. 올해는 이례적으로 First Prize를 권슬기와 Jasmin Matzakow 두 명에게 수여 하였다. 주최 측은 심사평을 통해 " 심사위원회는 first prize를 결정할 수 없다고 판단하여, 두 명의 적합한 작가에게 상을 나누어 주기로 결정했다. 이 두개의 작품은 재료의 사용과 탐구에 있어 같은 수준의 혁신적인 가치를 가지고 있다고 판단되었기 때문에 반대 입장에도 불구하고 상을 둘로 나누어 주기로 결정된 것이다. 두 작가의 작품은 섬세함에서의 집중도를 보여주면서 그들의 고유한 작가정신 또한 보여준다. "라고 뜻을 전했으며, 또한 권슬기 작가의 작업에 대해 "권슬기는 실리콘으로 색, 무늬, 형태와 어울리는 바다속 생물체를 암시하는 유기적인 형태를 만든다. 재료의 투명함은 실리콘의 부드럽고 윤기있는 특성으로 Murano 유리의 감성을 일깨우기에 충분하다. "라며 First Prize 선정 이유를 밝혔다. 수상작들은 이후 한 달 동안 Cominelli가에 의해 17세기에 지어진 고풍스런 건물에서 연장 전시 되며, 영예의 최고상을 수상한 권슬기 작가에게는 1500유로의 상금이 수여된다. The jury's choice for the first prize could not be resolved, so it was decided to split the first prize between both the favoured artists. This decision was made because the two submissions, though from opposite positions, were deemed to have the same level of quality in innovation, in the use of materials and investigation. Both of the artists' works presented attention to detail and revealed a sensitivity in their fine craftsmanship. Jasmin Matzakow's two brooches carved in precious wood represent abstract forms that are discovered and gradually removed from the material in a meticulous painsaking systematic process, revealling an inner life of the material she works in. The second prize has been awarded to Bernhard Stimpfl-Abele for his electroformed brooches combining the unconventional use of fine silver and polysterene and orange peel. In these pieces he creates an unusual combination of textures that are perceived mainly by the eye instead of the hand. The three nominations are to Emmanuel Lacoste's scenographic photographs enquiry into the status of jewellery, its symbolic and historical value and the ultimate ephemerality of these qualities. For Zoe Robertson's bubbleshaped brooches and their humerous combination of and sensitive use of uniform colour and patterned areas and to Chiara Scarpitti's fine and poetic imagery in combination with patern.